Idli is a humble traditional breakfast in most Indian households in India. This little snack was introduced in Mauritius from South India and now has become a popular snack anytime of the day. My sweet Idli is made from Semolina instead of fermented rice or mixed pulses, and instead of steaming them I baked them in a muffin tray. South Indian cuisine is known for its healthy recipes and Suji Idli (Semolina idli) is one of the simple recipe which combines the goodness of flavours and aromas. It’s not just healthy and irresistible but also very easy to prepare too. Just like most things you can easily find ready-made instant Idli mix packs available on the market which just requires adding some water and steaming. However, nothing can beat the taste of authentic preservative free soft and fluffy homemade Idli. 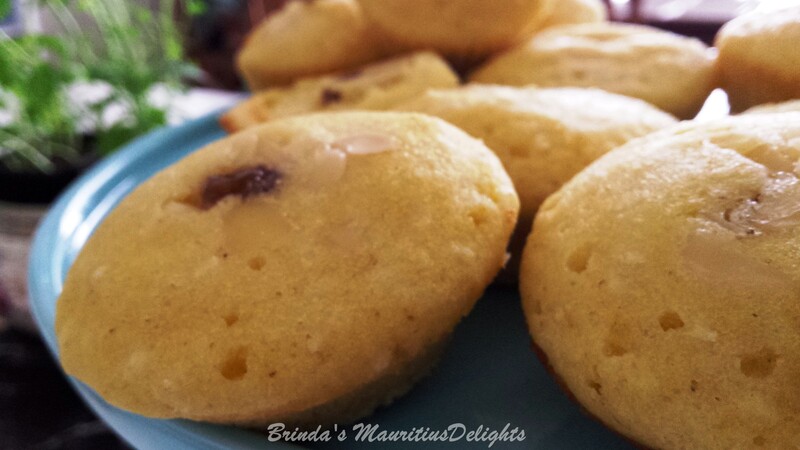 Grease a 12 muffin cake tin and set aside. Place the Semolina in a bowl, add the butter. 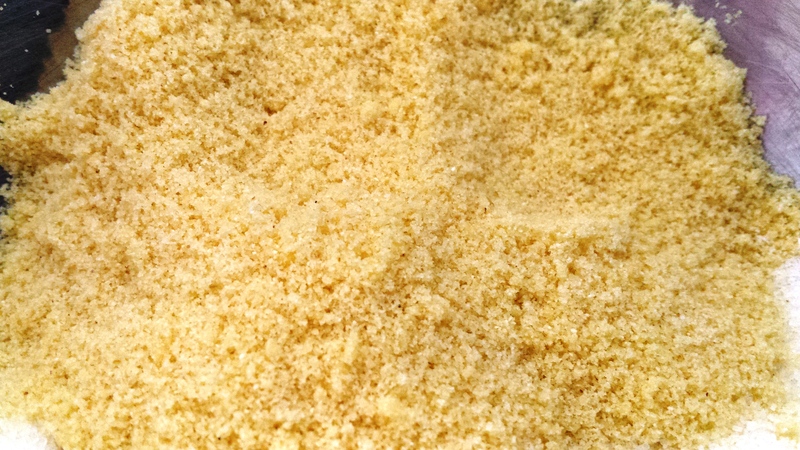 Using your finger tips mix well until they resemble fine bread crumbs. Add the sugar, coconut, cardamom and baking powder and mix well. Add the milk, start by adding only 250mls until you reach a pouring consistency. 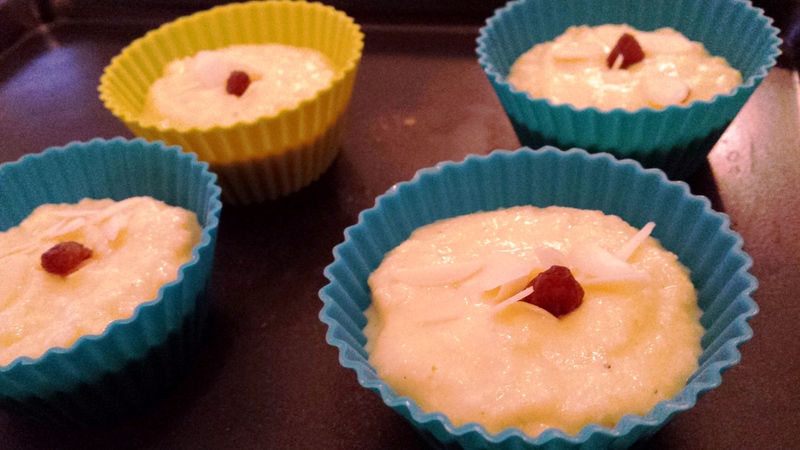 After the batter has rested, spoon in the mould ¾ full as they rise quite well, sprinkle with coconut and raisin. Cover with a foil and bake for 10-12 mins or until a skewer inserted comes out clean. Leave to cool in tray for 5 – 10 mins. Serve warm with a lovely cup of tea….totally irresistible. Brinda’s Note: Alternatively you can steam them on medium heat for about 15-20 mins. 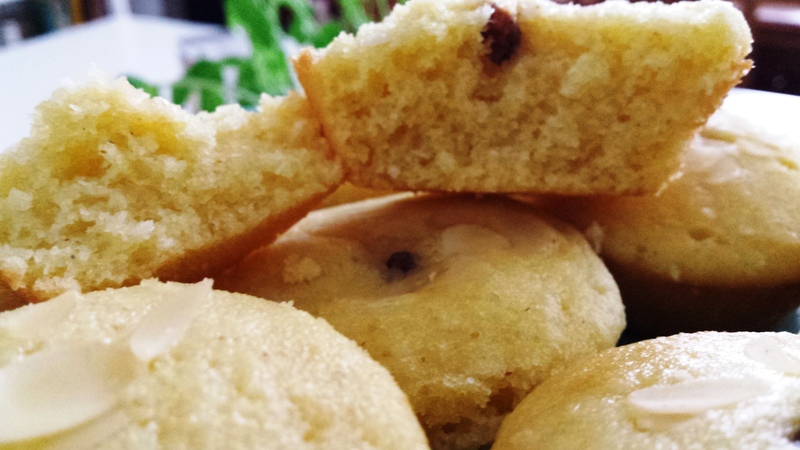 You can also bake them in individual silicon muffin cups. These Idli will keep well for up to 2 days in an airtight container. A perfect little snack to nibble on anytime of the day or taken as a healthy packed lunch option.